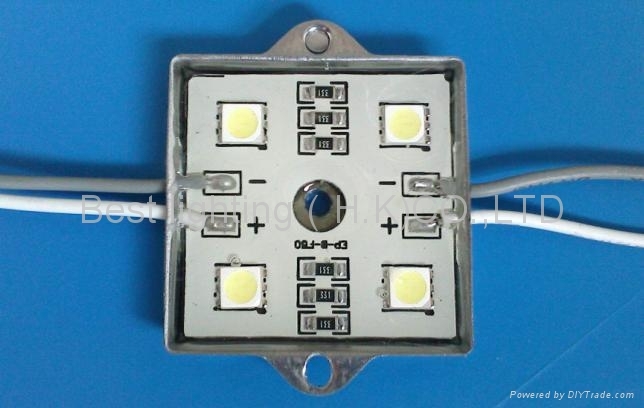 LED Module adopt 4PCS super flux 5050SMD single color LED as its luminous body. Excellent waterproof craft of wires come out from the side of module, make the product elegant. Mounting hole in the middle and 3M double sided tape in the bottom, making it easy to install.